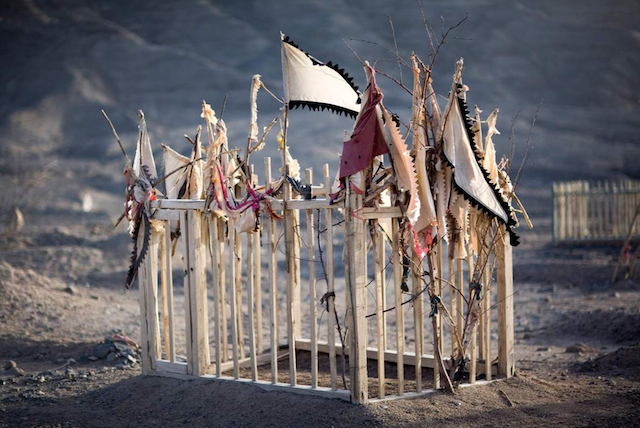 (Superstitions) Sufis take graves as shrines where they call upon the dead for divine aid. It is an explanation of Kitāb at-Tawheed of Shaikhul-Islaam Muhammad b. Abdul-Wahhāb (d. 1206H, rahimahullāh) by ash-Shaikh al-Allāmah Ahmad b. Yahyā an-Najmee (rahimahullāh). The following is a slightly edited translation of the book. Abu Sa’eed Al-Khudree (radiyallāhu ‘anhu) said that Allah’s Messenger (ﷺ) said: “You will surely follow the ways of those who came before you, just as one arrow resembles the others, so much so that if one of them entered the hole of a sand-lizard then you will enter into it.” They said: “O Allah’s Messenger! The Jews and Christians?” He replied: “Who else?” Reported by Bukhāree (3456) and Muslim (2669). And when we consider the state of the hizbiyyeen (the misguided partisan Muslim sects), we see them resembling the Jews. These hizbees make agreements with the Rawāfid saying: “We are Muslims and they are Muslims.” They hate the people of Tawheed, they cannot tolerate them. These hizbees will show affection and conciliate with all of the deviant sects, and accept them as members into their party or group. As for the people of Tawheed, the hizbees cannot tolerate them ever. Is this not a proof that they are a misguided sect? Yes indeed, by Allah. Allah has stated regarding every Messenger, that they were sent to call to Tawheed. As for the Ikhwān Muslimoon, they call to the Caliphate. The Prophet began with Tawheed, yet these hizbees begin with the call to the Caliphate! The Prophet (ﷺ) began with the ‘Aqeedah, yet they (Jamā’at at Tableegh) begin by giving attention to righteous deeds so as to deceive the people; they are lackadaisical (and unconcerned) with respect to the ‘Aqeedah which is the very foundation of the Religion. This verse is part of other verses that refute the Jews in their claim that the idol-worshippers are better than the believing monotheist Muslims who worship Allah alone. So Allah refutes them, clarifying what they are upon of unbelief, and what they will receive of punishment from God. 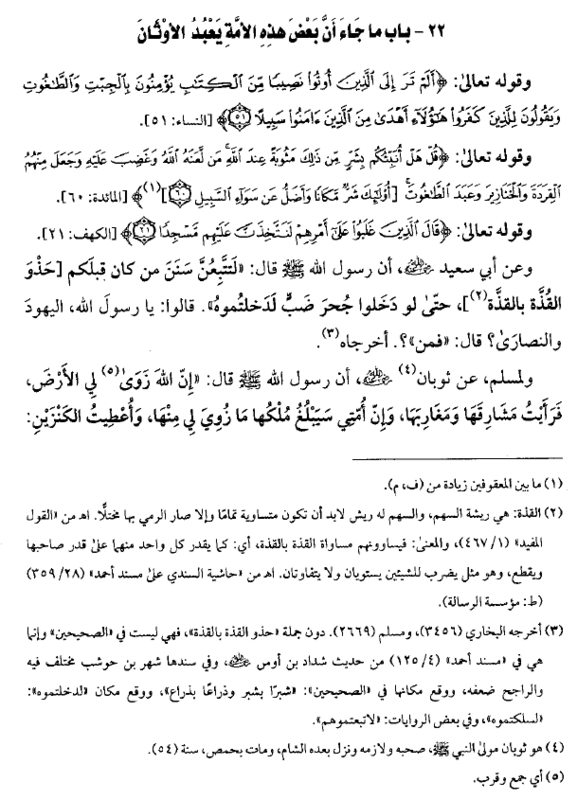 “Say O Prophet: “Shall I inform you of something worse than that, regarding the recompense from Allah: those who incurred the curse of Allah and His wrath, those of whom, some He transformed into monkeys and swines, those who worshipped tāghoot (the false deities)…” Meaning: You are the ones who Allah has cursed, some of you were transformed in primates and others into swine, and there were those among you who worshipped false deities. This was the reality of the Jews who were misguided and were far from that which pleased Allah, the Mighty and Majestic. “Regarding the recompense (mathoobatan) from Allah…” The term mathoobah refers to recompense. The the recompense is in accordance to the deeds. So when their deeds were deeds of unbelief and sin, that necessitated the anger of Allah. For this reason Allah punished them with His curse, anger, turned some of them into apes and swine due to what they committed of unbelief, and foul conduct and due to their hatred of the believing and monotheist worshippers of Allah. In the Hereafter their punishment will be the same punishment that is meted out to every unbelieving worshipper of false deities. How can they rebuke the believers, whilst they were the worst of Allah’s creation – for them there is an evil recompense due to what they committed and put forth of wicked deeds. And Allah knows best. “…those who won their point…” refers to the people of eloquent speech and mastery [in debate]. So were these people believers or unbelievers? What is apparent is that they were unbelievers. That is because it is from the characteristics of the unbelievers that they take the graves as places of worship. This is their way in every age and every place. So those who were determined to build a place of worship (a masjid) over their graves, then it is most likely they were unbelievers. That is due to the fact that Islam condemns those who take graves as places of worship – and Allah knows best. Sunan is the plural of Sunnah, which means, “a path”. The Prophet’s saying (ﷺ): “…such that if one of them enters the hole of a sand-lizard, surely you too would enter it.” The burrow of the sand-lizard has winding tunnels, so if they were to enter it, you too would enter it. That Allah folded up the earth for His Prophet and He brought it close to him, and he (ﷺ) saw its eastern and western extremities. The kingdom of his Ummah reached whatever was gathered up for him. That the Prophet (ﷺ) was given two treasures: white and red. These two treasures are the treasures of Kisrā (Chosroes) of Persia and Qaysar (Caesar) of Byzantine – and they were two mighty empires of that time. One of them had treasure mainly consisting of gold (Rome) and the other had treasure mainly consisting of silver (Persia). The Prophet sought from his Lord for his Ummah: “That they not be destroyed through famine…” That He does not make an all-encompassing drought such that He destroys them. So he supplicated to his Lord that He does not destroy them like that. So Allah fulfilled his supplication. And that means that when a famine befalls in one place then there will still be an abundance of crops elsewhere. If hardship and difficulties befall one place, there will be prosperity elsewhere. The saying of the Prophet (ﷺ): “So my Lord said: O Muhammad, if I decree something it cannot be altered… until some of them will kill others, and some of them will take others as captives.” So in this is a guarantee from Allah that the Ummah will not be overcome by drought, or through the utter overpowering of an enemy over them, which ends with some taking others as prisoners and some killing others. Or the intent here could be that some of them will overpower others – and that the Lord has guaranteed that he will not destroy them with an all-encompassing drought and “he will not cause an external enemy to overpower them” meaning from the Christians or Jews and so on from the other religions. In the narration of Al-Barqānee in his ‘Saheeh’ there is the additional wording: “Indeed I fear for my Ummah the imāms of misguidance – and when the sword is drawn between them, it will not be withdrawn until the Day of Resurrection. The Hour will not be established until a part of my Ummah attach themselves to the polytheists and until factions from my Ummah worship idols. In my Ummah there will appear thirty liars, each of them claiming to be a prophet. However I am the last of the Prophets, there is no prophet after me. And there shall not cease to remain a group from my Ummah upon the Truth, aided and victorious. They are not harmed by those who betray them – and they will remain as such until there comes the command of Allah, the Blessed and Most High.” I say: That these imams of misguidance are those who ascribe themselves to the da’wah. They leave off [the call to] Tawheed and they legislate for their followers worship based upon innovations. And from the imams of misguidance are those who legislate for the students of knowledge the permissibility of performing takfeer upon the Ummah of Muhammad (ﷺ), upon the rulers and the scholars, i.e. declaring them to be apostates. This is something that happens. So these are from the imams of misguidance who oppose the methodology of the Legislator, Allah, and the methodology of all the Messengers, which is to begin the call to Islam with Tawheed. The reality is that the manhaj (methodologies) of Al-Ikhwān Al-Muslimeen , the Suroorees , the Qutubees  are all an infiltration from the manhaj of Jamāl Ad-Deen Al-Afghānee . This man was surrounded by doubts from two angles: Firstly: What is apparent is that he would make claims that he had no right to, and there was no reality to his claims. Indeed, what is clear is that he had connections to the Freemasons, and he was a member of them – and his student Muhammad Abduh  – and he is the one who brought forth these deviated ideologies. His real madhhab (doctrine) was I’tizāl . And the Mu’tazilah and the Khawārij are the same [in declaring sinful believers to be in Hell forever]. The only differences being that the Mu’tazilah are not straight-forward in their takfeer. Instead they say: the one who commits a major sin is in a place between two places, neither Muslim nor Unbeliever , and in the Hereafter, he will be in the Hellfire forever. Secondly: What is also apparent is that Jamal ad-Deen Al-Afghanee was a Shi’ite [and would affirm the correctness of the doctrines of the Shi’ah]. For this reason you find that Al-Ikhwan Al-Muslimeen, indeed their leader, their caller, the one who confirmed their methodology and its founder (i.e. Hasan Al-Banna ) he used to call to unity between Ahlus-Sunnah and the Shi’ites, whilst knowing the atrocious beliefs of the Shi’ah such as: their claim that the Revelation was meant for Alee Ibn Abee Tālib (radiyallāhu ‘anhu) but the Angel Jibreel took it to the wrong person by bringing it to Muhammad (ﷺ); their claim that Abu Bakr and ‘Umar falsely seized the leadership after the death of the Prophet from Alee; and they declare the Companions to be unbelievers except a handful, and other wicked beliefs. So the methodology of Al-Ikhwān, the Suroorees, the Qutubees is just an infiltrated methodology that originated with Jamāl ad-Deen Al-Afghāni who was influenced by the beliefs of the Freemasons and the Shi’ah. The saying of the Prophet (ﷺ): “The Hour will not be established until a part of my Ummah attach themselves to the polytheists…” And how many we see today who attach themselves to idol-worshippers and atheists! Indeed to Allah we belong and to him we shall return. His saying: “…until factions from my Ummah worship idols.” The worship of “idols” (in the form of shrines and raised graves of the deceased) in the lands of the Muslims is widespread. How many “idols” do we find in the lands of the Muslims? In Egypt there is the shrine of Al-Badawee , of Al-Hasan, Sayyidah Zainab, and others. In Yemen, the shrine of Ibn ‘Ulwān and so on in the various lands. Every country virtually has shrines that are worshipped alongside Allah or instead of Allah except Saudi Arabia, and all praise is due to Allah. 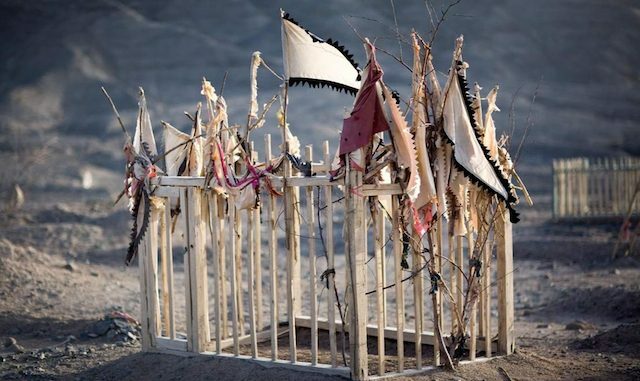 These shrines are “idols” in reality because they are worshipped besides Allah, and they are referred to as Tawāgheet (false deities). The Prophet said: “In my Ummah there will appear thirty liars, each of them claiming to be a prophet. However I am the last of the Prophets, there is no prophet after me.” This actually took place in the time of the Prophet (ﷺ). Two men claimed to be prophets: Al-Aswad Al-‘Ansee and Musailimah Al-Kadhdhāb. Both of them were killed. And there was a woman called Sajāh who claimed prophethood. Then she repented. So whoever looks into the works of Islamic history will found many stories like this. His saying: “And there shall not cease to remain a group from my Ummah upon the Truth, aided and victorious. They are not harmed by those who betray them – and they will remain as such until there comes the command of Allah, the Blessed and Most High.” This is the Tā’ifah (the Group) that the people of knowledge and the scholars refer to as Ahlul-Hadeeth, the people of the Minhaj As-Salafi. Al-Ikhwān Al-Muslimeen was founded by Hasan Al-Banna in 1928 CE. Its aim was and remains to gain political ascendency, power and leadership. They use means and methods that are innovated and depart from the Prophet Methodology of the early generations. They have used assassination, rebellion, suicide bombing, terrorism, social unrest and democracy – all as means of gaining political control. Ibn Bāz declared this group to be from the one of the 72 deviated sect alongside Jamā’at at-Tableegh of India. Suroorees: Followers of the political doctrines of Muhammad Surur Zain al-Abidin (died 2016 CE). A former Syrian member of Al-Ikhwān Al-Muslimeen, who was expelled from Saudi Arabia for his extremist views, moved to Kuwait and then Birmingham, UK where he founded Dar Al-Arqam (Langley Road, Small Heath) followed by London where he established Al-Muntada Al-Islami. Loved and revered by Khawarij extremists world-over from Abu Mus’ab az-Zaraqawee, Abu Muhammad al-Maqdisi to Safar al-Hawali and Salman al-Awdah; Suroor was a political ideologue who declared scholars and rulers to be apostates, and no more than puppets of the West. Qutubees (and Sayyid Qutb): Those driven and committed to the teachings of Al-Ikhwān Al-Muslimeen’s figurehead Sayyid Qutb, an Egyptian thinker who was eventually executed in 1966 CE for his attempted overthrow of the Nasser regime. He is probably the most influential personality and revered ideologue of every “jihadist extremist” group in the world. His books are published in dozens of languages and widespread. There is not an extremist except that he draws inspiration from Sayyid Qutb. Qutb considered the world to be in a state of “Jāhiliyyah” (Pre-Islamic Ignorance) where the concept of Ummah no longer exists; wherein the rulers and subjects have abandoned the Laws of Allah and apostated. To return the Ummah back to its former glory, a vanguard must rise from the ashes with revolutionary army of God, and bring upheaval to destroy the political elite and replace it with the ideals of Al-Ikhwān Al-Muslimeen. He was declared a renegade extremist kharijite innovator by almost every Salafi Scholar. Qutb’s famous work “Milestones” is seen as the 20th century Kharijite “jihadist” manifesto. Jamāl Ad-Deen Al-Afghāni (died 1897 CE): His origins are shrouded in mystery but it appears that he came from a Shi’ah family, and that seems to be backed by evidence including his frequent visits to Iran and to Shi’ite shrines, and his political reform efforts in Iran. In adulthood he was a political activist calling for Islamic differences to be put to one side so as to attain political power for Muslims. He called for the “modernisation” of Islamic thought attempting to reconcile Islamic faith with modern Western and European values such as nationalism, democracy, enlightenment and rationality – in essence he was a rationalist who saw the benefits of borrowing from other religions, ideologies and thoughts as a means to political ascension. The term “salafiyah” is often used erroneously to refer to ideology of Jamāl Ad-Deen Al-Afghāni and his student Muhammad Abduh, but the truth is that they were both modernist rationalists more akin to the Muta’zilite doctrine rather than to Salafism. Salafism rejects innovation in religion and rejects deviation from the Methodology of the Prophet and Companions in every sphere of life including the political arena. Al-Afghāni and his followers would adopt ideologies foreign to Islam as a rational path to revival – which is in line with Mu’atazilite teachings. 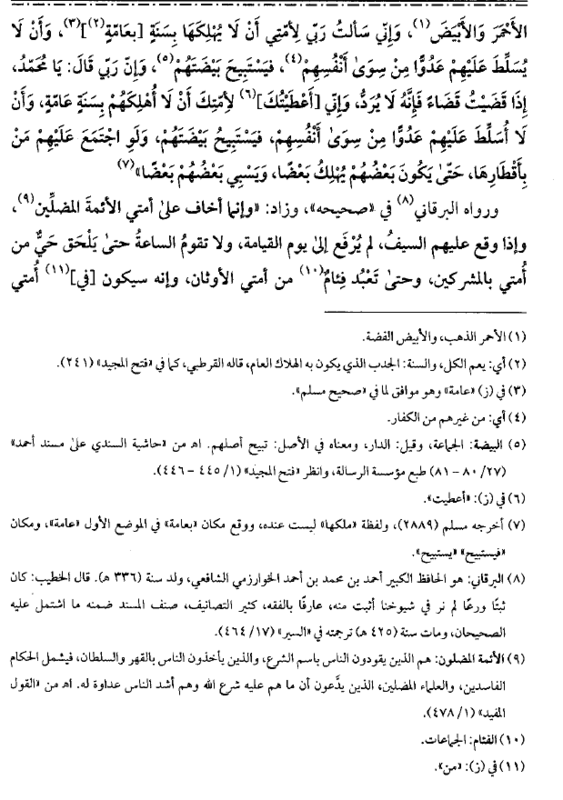 Al-Afghāni, Muhammad Abduh and Rashid Rida, all called for the opening of the doors of ijtihād (islamic deduction) but they did not intend the traditional Salafist approach of the great Jurists of the early centuries who would base their rulings strictly on the Revealed Texts (Quran and Sunnah) and extrapolated principles. Instead their intent was to reconcile with, and draw on Western political thought and almagate its concepts with the Islamic faith. Salafiyyah in its true sense has no binding doctrinal or theological attachment to the teachings of Al-Afghani and Abduh. The latter two started a movement that can be termed today as “Islamic Modernism” which is an expression of the Mu’tazilite doctrine of reason, thought and rational over recourse to Religious Texts; except when the Texts can be re-interpreted to fit into their modernist thinking. He envisioned the overthrow of Muslim rulers who were lax and subservient to foreign powers and to replace them with patriotic rulers. When he arrived in Egypt, a young Muhammad Abduh, became enthralled with Al-Afghani and became his devoted disciple. It is clear that those who ascribe Salafiyyah to Al-Afghani and Abduh do so without understanding Salafiyyah nor Al-Afghani. 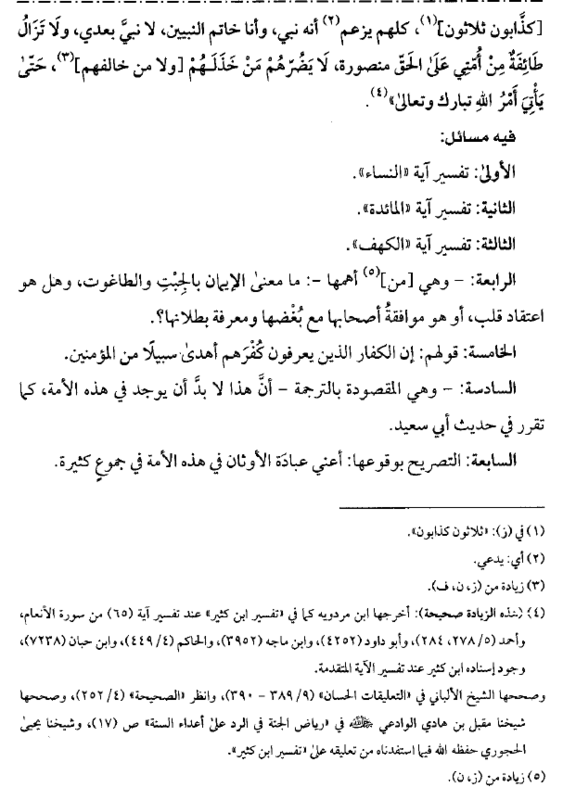 It was this doctrine that seems to have shaped Hasan Al-Banna and the Ikhwān movement. In Kabul, there is a huge tomb dedicated to Jamal al-Din Al-Afghani and in Tehran (Iran) there is street named after him. Muḥammad ‘Abduh (died 1905 CE): An influential Egyptian neo-Mu’tazilite and devoted disciple of Jamāl Ad-Deen Al-Afghāni. He is regarded as one of the fathers of “Islamic Modernism” who sought to reconcile Islamic faith with European political and social values. These early modernists used the term ‘salafiyah’ to refer to their struggle to revive Islamic thought. In doing so, they contradicted the very essence of Salafism which is to revive the creed and methodology of the first three generations of Muslims (i.e. the path of the Companions and those who followed them). In reality what they managed to achieve was the revival of the Mu’tazilite doctrine. Abduh studied at Al-Azhar University, Cairo learning philosophy, logic, and the esoteric beliefs of Sufism. Both Abduh and Al-Afghani developed the idea of Pan-Islamism to confront European imperialism – but their ideas of reform were not upon the methodology of the early generations and were consequently criticised heavily for their approach. Exiled, Abduh moved to Lebanon, then Paris to join his mentor Al-Afghani and from there they published the magazine, “Al-Urwatul-Wuthqah” (The Firm Handhold). On his return he was appointed as the Grand Mufti of Egypt in 1899. Abduh argued that ancient (Salafist) interpretations of the text could not be relied upon to solve the problems faced by Muslims in the modern world and one should use intellect and reason to deal with the issues facing Muslim societies. Abduh, like Al-Afghani was a member of a Masonic lodge called “Kawkab Al-Sharq” (Star of the East), and he propounded the idea of the unity of the three major religions. Both Muhammad Abduh and his disciple Muhammad Rashid Rida wrote in different ways their acceptance of Darwin’s theory of evolution and they became proponents of it. Both worked together and became very close friends launching the magazine “Al-Manar” in 1898. After Abduh’s death in 1905, Rida continued to develop the modernist ideas of Al-Afghani and Abduh, and it were their political, modernist and revolutionary ideas that formed the foundations of the political thought of Hasan al-Banna and his group Al-Ikhwan Al-Muslimoon. Mu’tazilah: A sect founded by Wāsil Ibn Atā, later joined by his disciple ‘Amr Ibn ‘Ubaid in the second century after the Prophet’s (ﷺ) death. From their key principles is that reason and logic are decisive over the Qur’an and Sunnah. And precedence must always be given to the intellect. This led them to many deviations in creed (‘aqeedah). Their doctrines were adopted by Jamal al-Din Al-Afghani and Muhammad Abduh and re-introduced to the Muslims at the turn of the 20th century, then they were developed further by Rashid Rida and Hasan al-Banna as a form of Islamic political enlightenment. Hasan Al-Banna (died 1949 CE): Egyptian founder of Al-Ikhwān Al-Muslimeen. Early on he was inspired by Muhammad Rashid Ridā’s (died 1935 CE) magazine, Al-Manar, and he was heavily influenced by Sufism. Al-Banna was a revolutionary and modernist in the same vain as Al-Afghani and Abduh and upon the same foundations. Ahmad Al-Badawi (died 1276 CE): Founder of the Sufi order of Al-Badawiyyah in Tanta, Egypt. He was born in Morocco and died in Egypt where many thousands visit his shrine.